Stage 1 takes two months, is led by you and involves all the statutory checks. Stage 2 takes four months and is more in-depth. You will be required to have a medical with your GP. We will ask you to attend training designed to support you in thinking about exactly what is involved in adopting children who need new families. We recommend that you increase your experience with children and can support you to identify opportunities to do this. Once we have collected all this information we will have a discussion with you and make a decision about whether to take your application on to Stage 2 of the approval process. Your social worker will let you know our decision verbally and in writing. The government has designed this two-stage process to ensure that those who enter Stage 2 are in a position to move forward with their application and are likely to be approved as adopters for the kind of children requiring families. This is where we get to know you a lot better. In this stage, one of our social workers will visit you at home on a number of occasions to complete a Prospective Adopters Report (PAR). We’ll also invite you to attend more training to prepare you for adoption. Once the assessment is completed you will receive a copy and are invited to make any comments about it. The assessment is then presented to the Adoption Panel. The adoption panel will consider all the information gathered during the assessment process and make a recommendation on your suitability to be an adoptive parent. You will have the opportunity to attend the panel if you wish. The process may seem daunting, but it is very important that it is thorough and right, for both you and us. What happens when I'm approved as an adoptive parent? 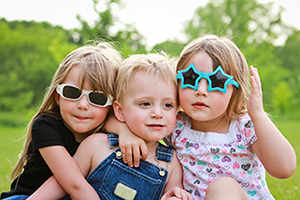 Once you are approved to adopt, we will begin the search for a child whose needs you can meet. The matching process is vitally important as adoption is for life. Once a child has been identified, you will meet the child’s social worker so you can find out more about him or her. It’s very important that you feel positive about the child and that the child’s social worker feels that you would be well placed to care for the child. A lot of detailed information is exchanged, including what contact arrangements are to remain in place with members of the child’s birth family. If you and the social workers involved with you and the child want to progress with the match, this will again be presented to the Adoption Panel, who will make a recommendation about the proposed match. Once a child is placed with you, we will continue to visit and support. You can apply for an adoption order after the child has been placed with you for a minimum of 10 weeks.